Building footings and stem walls. WHEN: Tuesday and Thursday between the hours of 12:00 p.m .to 3:30 p.m. 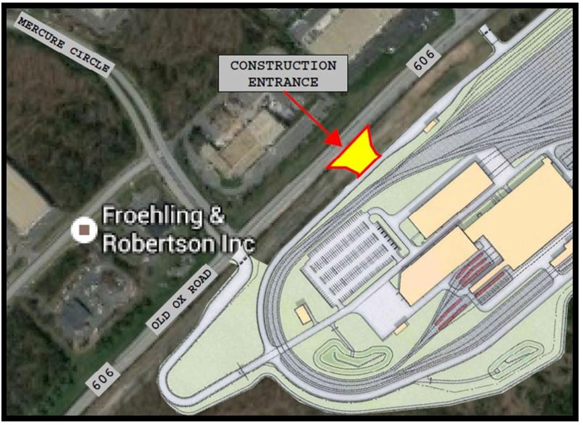 WHEN: Between the hours of 7:00 a.m. to 4:00 p.m.
HOW: Trucks will travel to and from the project site along Old Ox Rd/Rt. 606. HOW: Trucks will travel from McLean via Rt. 267, Rt. 28 and Old Ox Road (Rt. 606). cleaned during import fill operations by a sweeper truck.